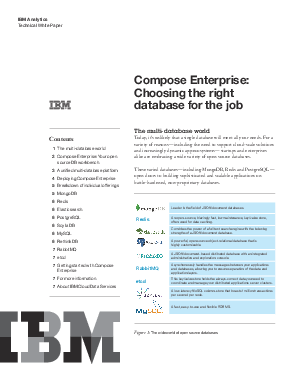 Today, it’s unlikely that a single database will meet all your needs. For a variety of reasons—including the need to support cloud-scale solutions and increasingly dynamic app ecosystems—startups and enterprises alike are embracing a wide variety of open source databases. These varied databases—including MongoDB, Redis and PostgreSQL— open doors to building sophisticated and scalable applications on battle-hardened, non-proprietary databases.